The government on Wednesday laid out a record disinvestment target for the forthcoming financial year as part of measures to contain the fiscal deficit at 3.2% of gross domestic product. Finance minister Arun Jaitley proposed to raise Rs 72,500 crore through capital receipts that comprise minority sales, strategic disinvestments as well as through listing of state-owned insurance companies. This surpasses the Rs 69,500 crore proposed two years ago. “Listing of public sector enterprises (PSEs) will foster greater public accountability and unlock the true value of these companies. The government will put in place a revised mechanism and procedure to ensure time bound listing of identified CPSEs on stock exchanges. The disinvestment policy announced in the last budget will continue,” Jaitley said in his budget speech. Of the total quantum proposed for the next fiscal year, the Centre aims to garner Rs 46,500 crore from minority stake sales through new listings as well as already listed firms. In addition, the government seeks to receive Rs 15,000 crore from strategic sales and Rs 11,000 crore through listing of state-owned insurance companies, budget documents show. The government also pitched for listing of shares of railway PSEs such as the Indian Railway Catering and Tourism Corporation (IRCTC), Indian Railway Finance Corporation (IRFC), and Ircon International. Nilesh Shah, managing director and chief executive at money management firm Envision Capital, said the planned listing of railway PSEs is a good step. A public issue will broaden the shareholder base in such state-owned companies, Shah said. “Primary market trends have been positive and the strategy of listing new companies is a good one compared with the age-old approach of stake sales in already listed government firms,” Shah added. Pranjal Srivastava, head of equity capital markets at ICICI Securities Ltd, concurs with Shah. “There are some well-known names in the basket and we expect some of them to be large issuances,” he said. In the current fiscal year, the government has raised about Rs 30,000 crore through disinvestment and allied instruments such as buybacks and dividends. It had budgeted Rs 56,500 crore for the fiscal and has now revised it to Rs 45,500 crore. The original estimates comprised Rs 36,000 crore from minority share sales and the remaining via strategic stake sales. 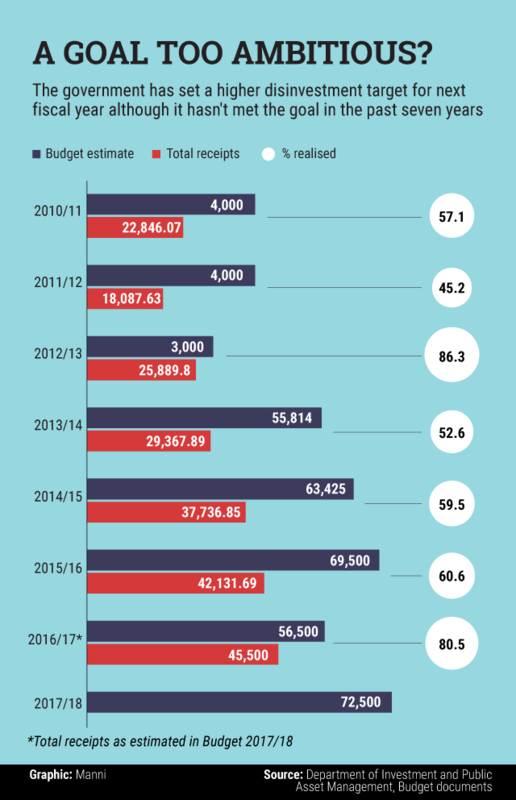 For 2015-16, the government had set a record target of raising Rs 69,500 crore through disinvestment. However, the amount garnered was far lower. 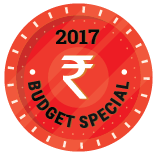 Radhika Rao, an economist with DBS Bank, said the high disinvestment target is among the few negative points in the budget. As part of the current fiscal year’s disinvestment plans, the government raised Rs 475 crore ($70 million) by selling a 10% stake in state-run manganese ore mining company MOIL Ltd. A week earlier, it raised Rs 6,000 crore by way of a second tranche of the Central Public Sector Enterprise exchange-traded fund (ETF). Earlier, the government had sold minority stake in NHPC Ltd, NBCC Ltd and Hindustan Copper Ltd besides buying back shares in NMDC Ltd, National Aluminium Co Ltd and Coal India Ltd. The government is also aiming to launch HUDCO Ltd’s initial public offering after it filed its draft prospectus for regulatory clearance earlier this month. Hudco’s share sale will be the first IPO of a state-run company since March 2012, when National Buildings Construction Corporation Ltd floated a public issue worth Rs 125 crore, government data showed.